2019 Honda PCX150 Scooter Review of Specs + NEW Changes! | Everything you Need to know! The PCX scooter lineup from Honda whether it be the PCX150 or the PCX125 have been some of the best selling scooters world-wide from Honda and for good reason. 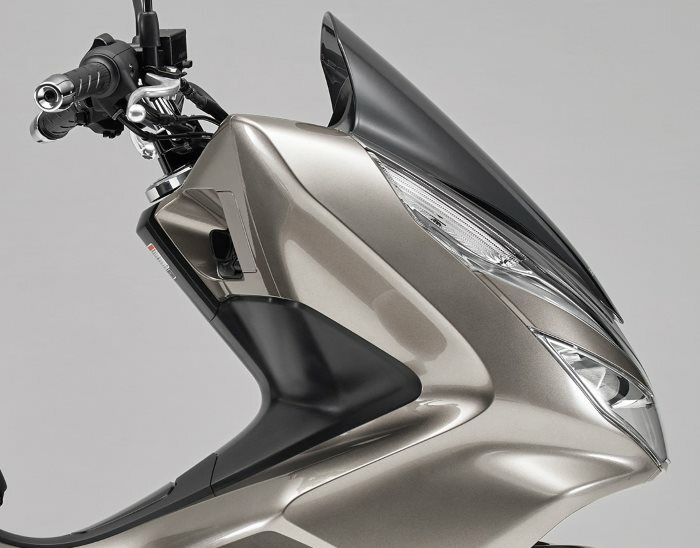 Honda doesn’t want to sit still though and let the competition catch up so they took the 2019 PCX150 and threw it under the scalpel to see what kind of changes they could throw at the 2019 PCX150 to set it apart from the 2018 and prior model year PCX150 models. Today, we’re going to break down all of the changes and tweaks that were done to the 2019 PCX as well as go over all of the nitty-gritty features and what it has to offer you if you’re in the market and looking for a new scooter to purchase. If you haven’t already, check out the other 2019 motorcycles and scooters from Honda by Clicking Here as I’m releasing new model information all the time. Key 2019 Honda PCX150 Versus 2018 PCX150 Changes / Upgrades: First up, we’ll start with styling. 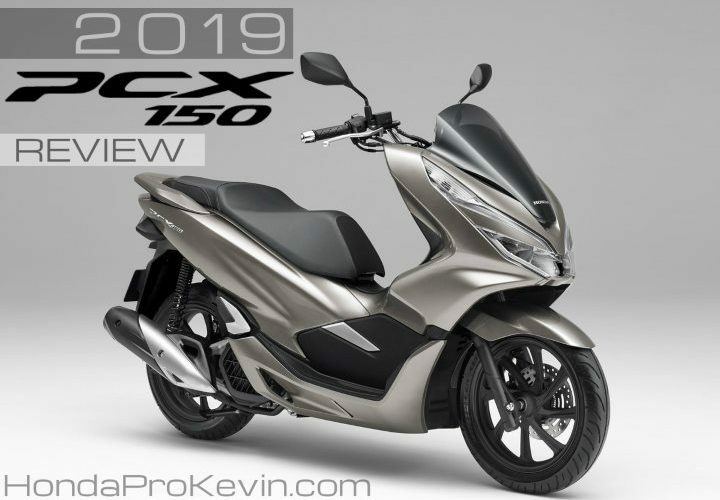 At first glance they may look almost the same but once you compare them side by side (pictures below), you’ll see that the design was tweaked from the front to the back on the 2019 PCX150 giving it a newer and more premium ‘look’ to it. Under-seat storage has been bumped up to 28 liters. Larger, 100/80-14 front and 120/70-14 rear tires with optimized construction reduce energy loss due to tire deformation. Honda also put the PCX150 on a weight plan and shaved off 6lbs dropping the curb weight from 295lbs to 289lbs. A new frame contributes to reduced weight and added stability. A new three-stage rear-suspension setup increases wheel travel from 3.1 inches to 3.33 inches. A new eight-spoke wheel up front and in the rear reduce weight and overall handling as well. 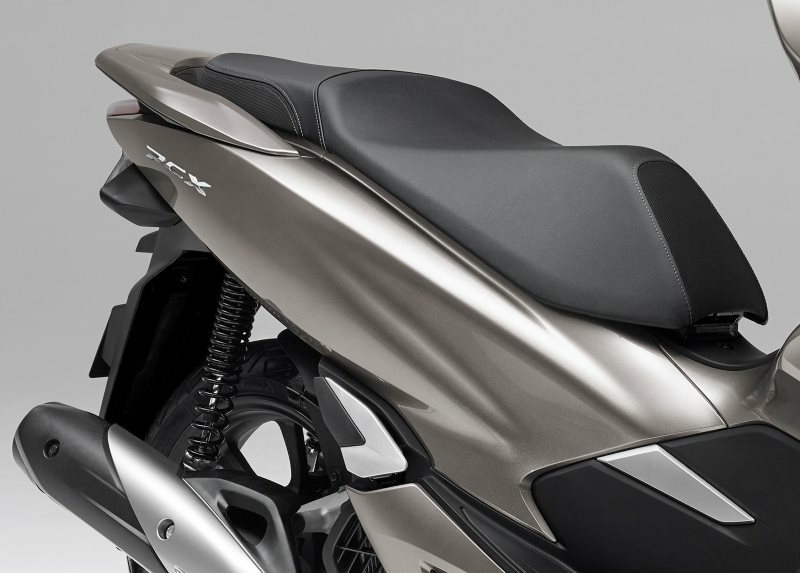 Add in all of these changes with new comfort-enhancing features paired up with ABS (Anti-Lock Brake System) and the 2019 PCX150 is going to stay on top. 4. | My Opinion / Your Thoughts? Highlighted by a stylish design and enjoyable performance, Honda’s PCX150 has long been the ideal choice for riders who want to have a little fun while getting around. 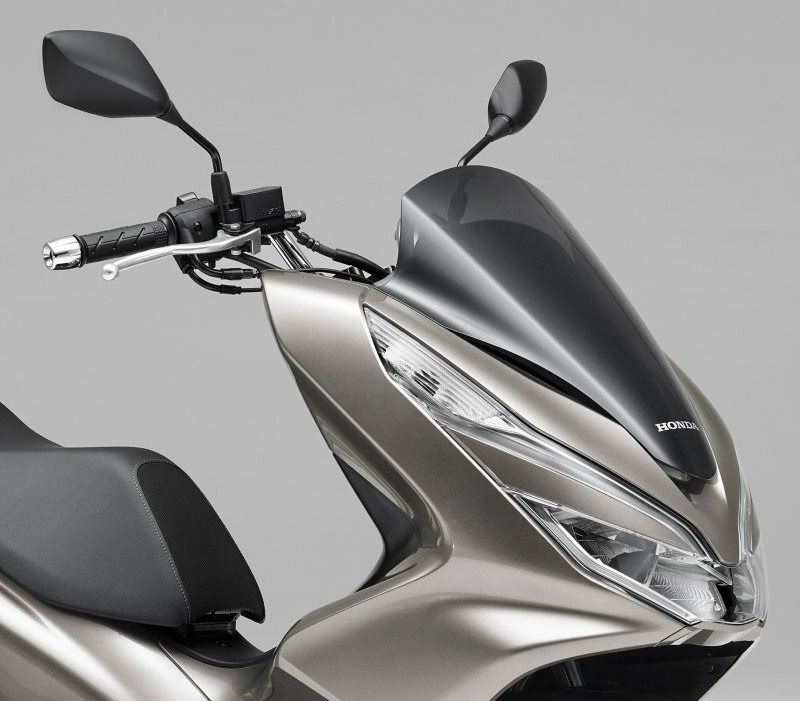 Thanks to its liquid-cooled engine and smooth lines, the 2019 PCX150 turns heads wherever it goes, while also offering great range and considerable comfort through its well-tuned chassis and dual rear shocks, now featuring 3.33 inches of travel. 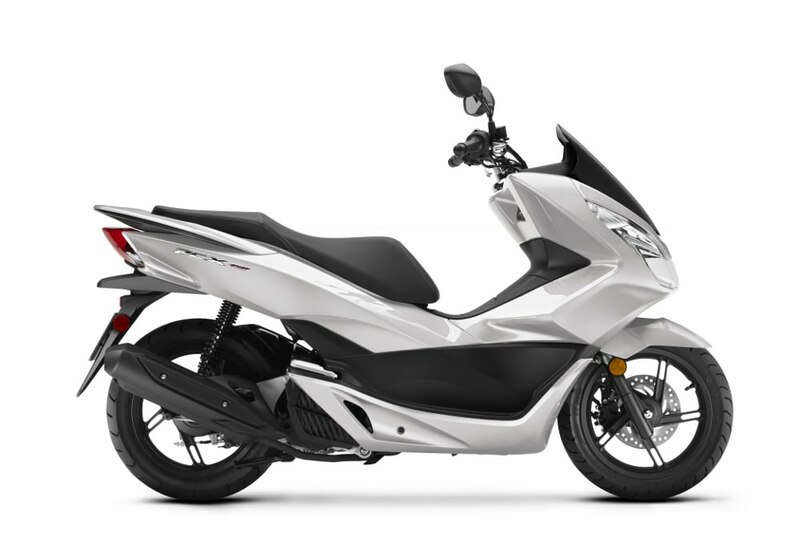 With a light curb weight of 289 pounds, a nimble 51.8 inch wheelbase and a low 30.1 inch seat height, the PCX150 is an easygoing scooter that brings an element of enjoyment to any ride. Its success is down to a formula Honda has had many years’ experience in perfecting: its strong, modern design allows it to slip elegantly into a style-conscious urban lifestyle, while compact dimensions ensure it can plot a path through busy traffic – and park – with ease. 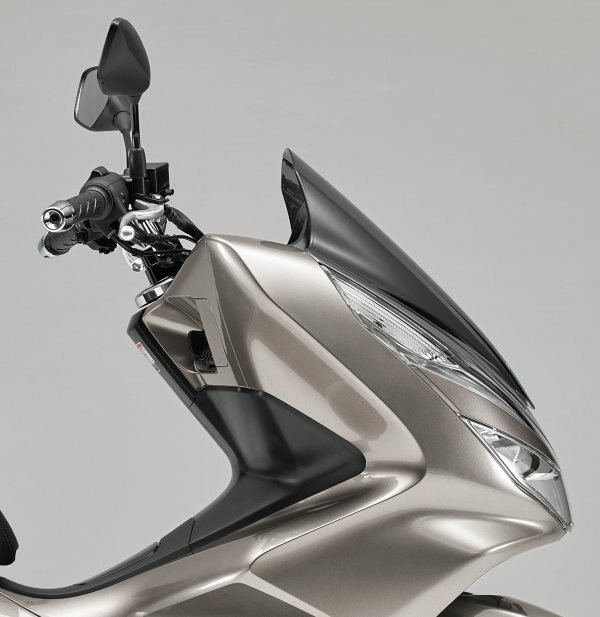 Eye-catching looks have always been key to the PCX’s appeal, and for its 2019 upgrade upgrade natural contours and subtle chamfers give an even stronger substance to its trademark ‘flowing’ style. But there’s function too; more freedom to move for the rider, increased underseat carrying capacity and crisp LCD gauges to match the LED head and tail-lights. 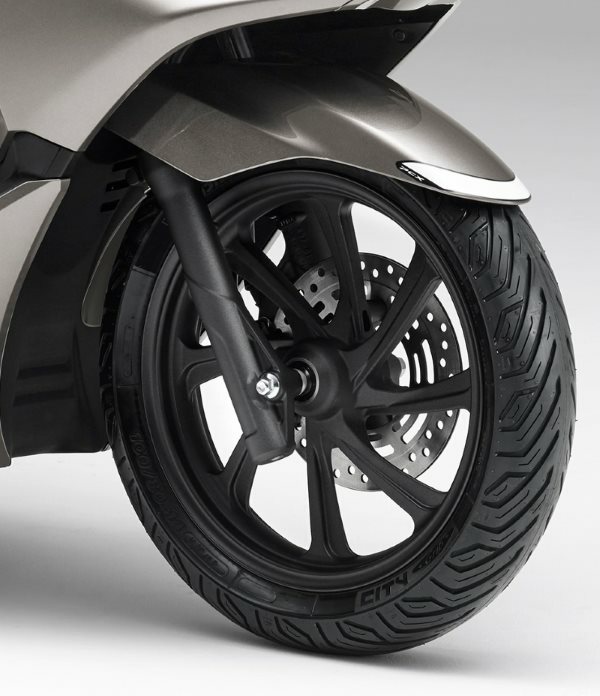 A new tubular steel duplex frame maintains the PCX’s around-town agility while improving handling; redesigned wheels save weight, and wear larger tires. The shock absorbers feature tri-rate springs and extended travel. While maintaining its outstanding fuel efficiency, the engine makes more peak power, thanks to redesigned airbox, inlet and exhaust, without sacrifices at the bottom of the rpm range with is of the utmost importance when it comes to riding in the city. 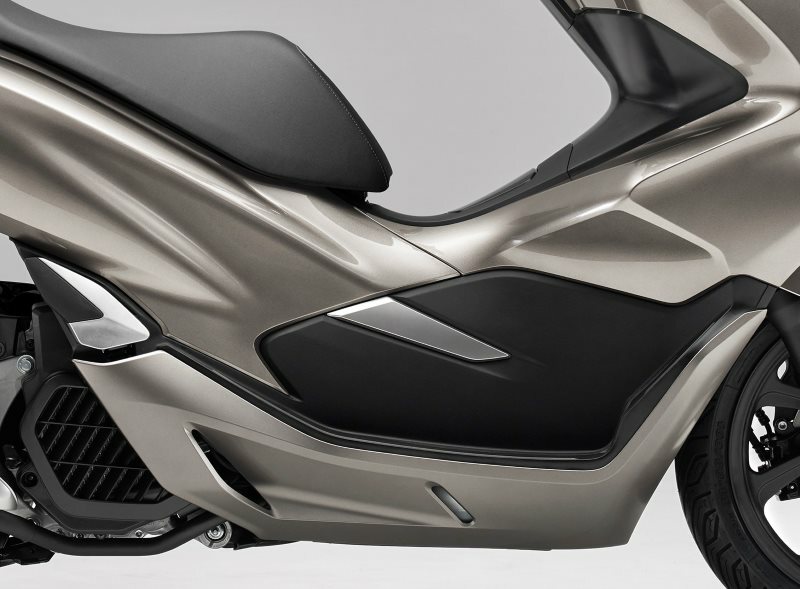 A design signature of the PCX150 has always been the bodywork – with its strong character line and ‘block’ primary paint color – flowing together as a whole, front to rear. 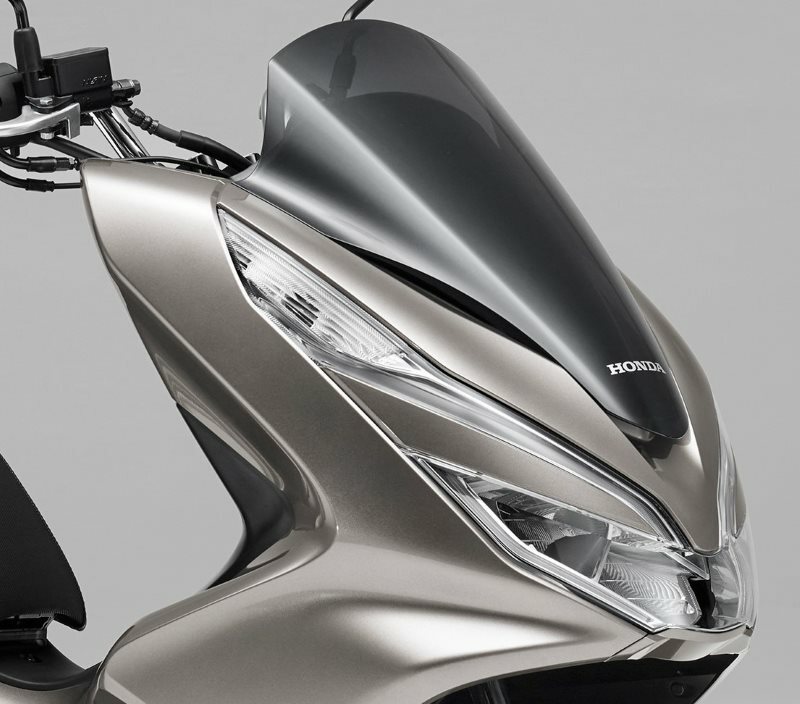 The new PCX150 expands on the theme, and employs new, natural contours of continuously varying curves, delivering a strong visual statement with an upmarket feel. Again, the smooth, large areas are painted in the primary color and link front to rear without interruption, and the lower bodywork is also much more integrated into the overall styling. 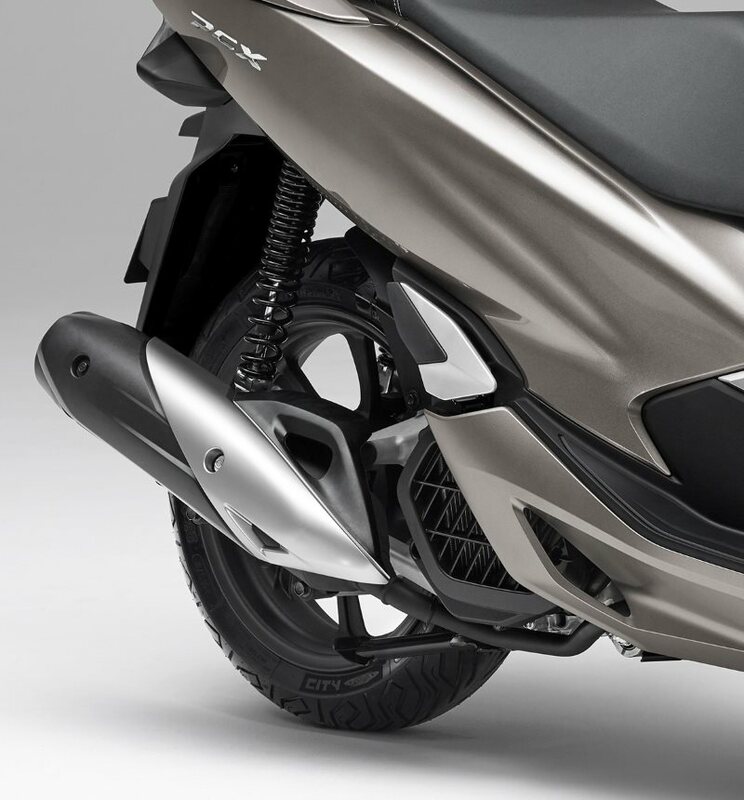 From the front, the PCX150 also stakes out a strong identity; the LED headlights and razor-thin position lights slant independently upwards, with LED indicators discreetly filling out the upper, outer tips. This new ‘face’ also changes subtly between high and low beam. The slim LED rear tail light/indicator unit is still two-tiered, but larger in size for increased visibility. Seat height is up 4mm to 30.1 inches, but still very manageable with a ‘straddling’ height of 21.3 inches; the new bodywork allows the floor area to extend forward, giving more legroom. Both the seat and fuel lid are opened via one-touch switches (the seat itself has a sprung hinge, so it stays up when open) and the ignition has a key shutter for extra security. 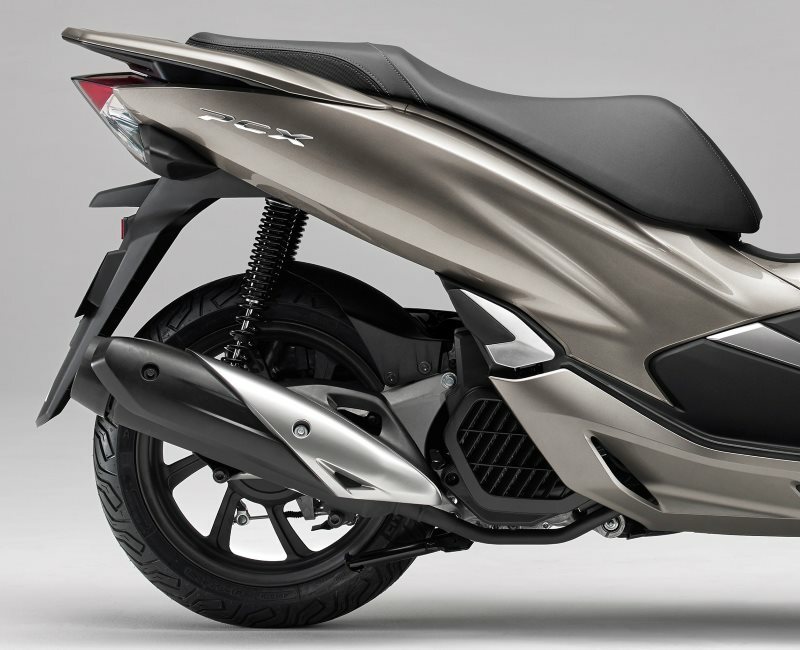 The 2019 PCX150 has a new frame; the tubular steel ‘underbone’ design of the previous model has been replaced with a full steel duplex cradle. 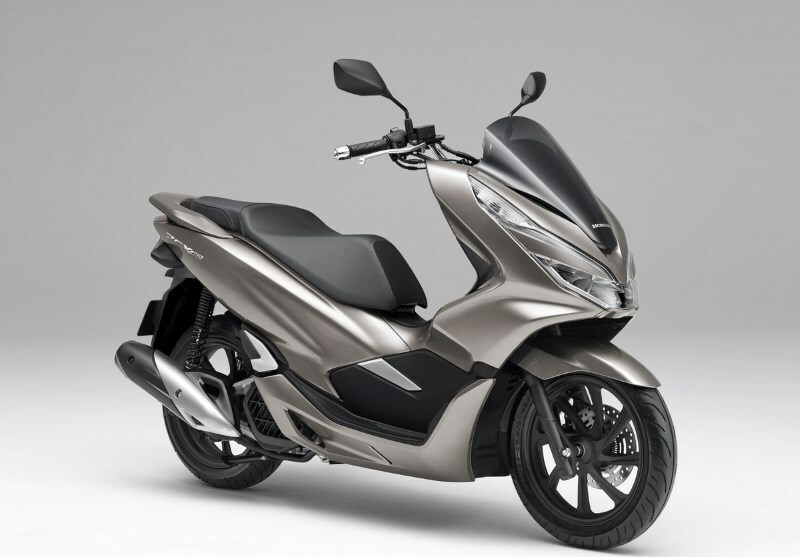 This has improved the machine’s handling ability and feel, without losing the in-town manoeuvrability the PCX has always been famous for, plus its user-friendliness and relaxed riding position. 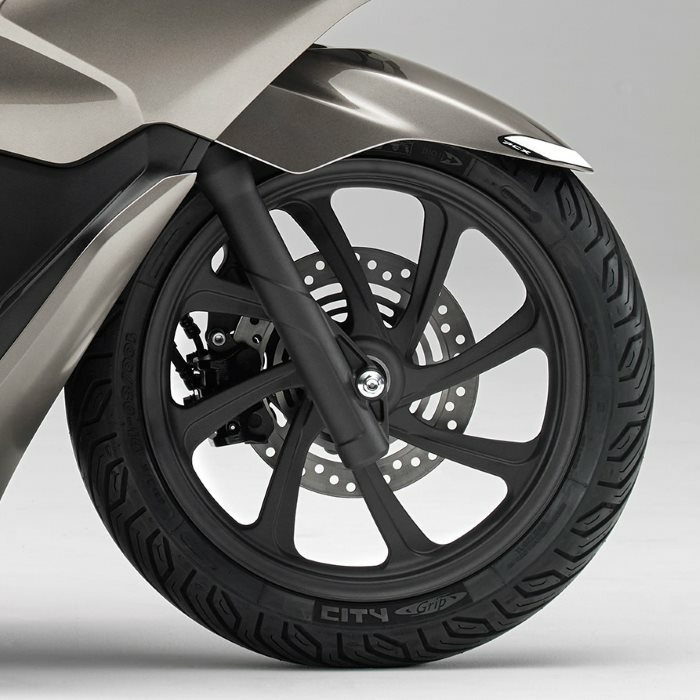 Also (for the first time on a Honda scooter) a plastic main fairing stay has replaced the steel structure used before; this, and the frame redesign has shaved 5.3lbs from the structure, further aiding agility. Both front and rear wheels are lighter and use thinner rims which aides in the overall task of shaving weight, with an 8-spoke (rather than 5-spoke) design. The front also employs a hollow hub to save weight. Tire sizes are also larger, 100/80-14 front and 120/70-14 rear (as opposed to 90/90-14 and 100/90-14) and combined with the new wheels not only ensure lighter handling but also contribute to the improved fuel economy through reduced tire deflection. The 31mm front forks are unchanged with 2.42 inches of travel, but the rear shock absorbers are re-sited more towards the rear of the machine; they now use tri-rate (rather than dual) springs for a smoother ride, whether on rough city streets or out of town. Stopping power is provided by the three piston caliper 220mm front disk brake, and 130mm rear drum brake; optional single-channel ABS operates on the front brake. The SOHC, liquid-cooled two-valve 149cc enhanced Smart Power (eSP) engine powering the PCX150 offers compact durability with excellent performance away from the lights plus quiet, smooth operation and reduced CO2 production. At this stage of its development more power at high rpm – with no loss of torque down low – was the target for improved performance in higher speed ranges. 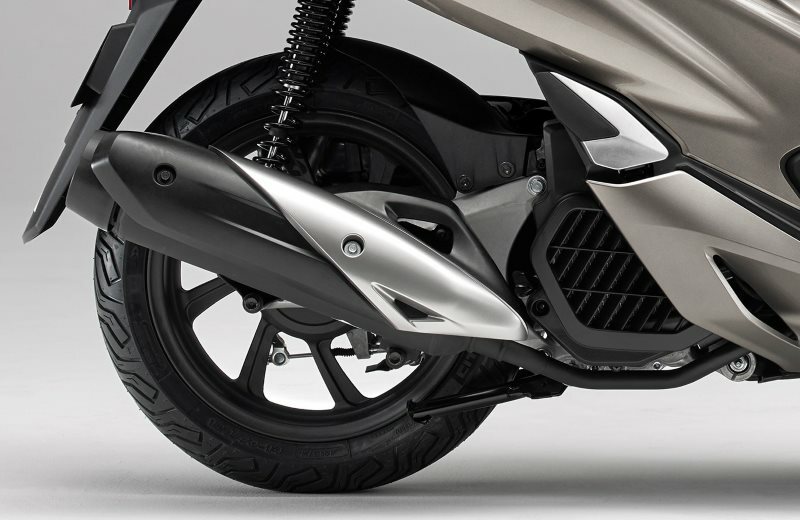 To achieve their goals of adding more performance to the PCX150, the intake now has a 1L larger volume area than the previous design (achieved thanks to the rear shocks moving backward). The intake is positioned to the left and the location and profile of internal parts has been revised to allow the smoothest airflow path possible. Not only does the new PCX150 do a better job of getting more air into the engine for added performance but its exhaust has also been optimized to improve flow and in return creating more horsepower and torque. The compact radiator – integrated into the exterior of the right-side crankcase – uses a new shroud design with a larger volume at the two exhaust ports to improve transmission of hot air. This enhancement means a smaller fan – with revised blade shaping – delivers highly efficient cooling without the need for a larger radiator to deal with the extra heat generated by the increased power. Also redesigned are the left side crankcase and the drive/driven pulley wheels of the V-Matic continuously variable transmission, which are now larger and feature revised profiles expanding the range of gear ratios. This change maintains acceleration in the low-speed range (compared to the previous model) and delivers linear – and stronger – acceleration at mid- to high-speed. 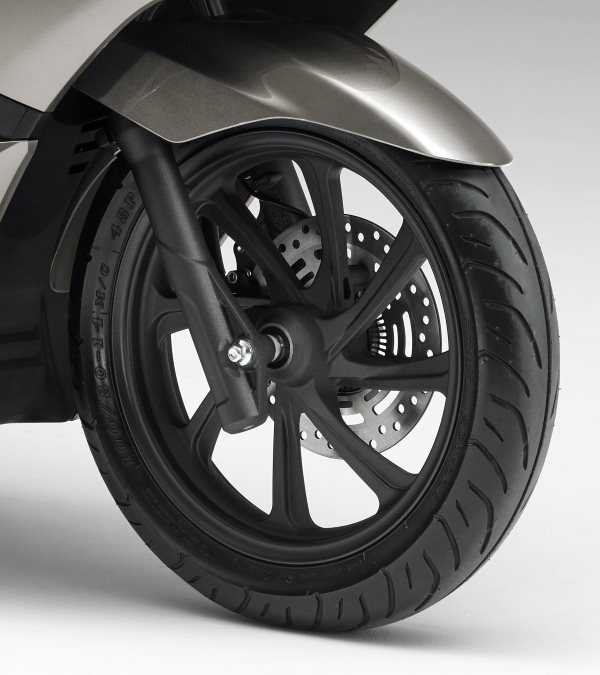 It also reduces belt friction, which contributes to the outstanding MPG numbers that the PCX150 delivers. Greatly contributing to the engine’s fuel economy and performance is its layout, which is built around a host of low-friction technologies. An offset cylinder reduces friction caused by contact between piston and bore, efficiently transmitting combustion energy to the crankshaft. A compact combustion chamber and optimized ignition timing combines with efficient cooling of the combustion chamber to aid resistance to ‘knocking’. Bore and stroke is set at 57.3 x 57.9mm, with compression ratio of 10.6:1 from where last year’s PCX150 had a bore and stroke of 58 x 57.9mm while keeping the compression ratio the same. The difference in bore and stroke is why you’ll find that the outgoing PCX150 engine was technically at 153cc whereas the new redesigned PCX150 comes in at 149cc. 4. My Opinions / Your Thoughts? Call me crazy… And most of my friends probably will if they read this but this little gem is something I’m looking forward to getting my hands on and riding. A lot of people will look at this and think it was just a simple redesign with only a few tweaks and changes here or there to make it look different while not really upgrading much on the bike but that’s where you would be wrong. Honda actually thought this one through with their R&D department and didn’t just hand it off to the styling guys and say “Hey, make this look different” or do the whole “BNG Update” you may have heard people joke around about with all of the manufacturers where all you get are Bold New Graphics which is what BNG stands for technically. The outgoing generation PCX150 was not only a blast to ride around town but it wasn’t too expensive either. It rides a fine line of what’s affordable to many and thankfully Honda didn’t go overboard with slapping a $3,999 MSRP or higher on the base model 2019 PCX150 like they could have with all of the changes they made for 2019. If you’re a Honda fan and follow their models, you may remember back in 2010 when Honda released The SH150i scooter here in the USA and that model came in at a whopping $4,499 MSRP and that was almost nine years ago… So when you look at it and compare the numbers with the technology being used etc and to me, even with the slight price increase you’re still getting a lot of bang for your buck. The small cc scooter market is cut throat though with all of the competition from not only Suzuki, Yamaha, Kawasaki, Kymco and Piaggio but countless other smaller manufacturers out there that try and build them for pennies on the dollar so Honda has to be careful with where they go on the PCX150’s price-point. New technology and changes are always nice but there’s a tipping point to where the extra bells and whistles just aren’t worth the added costs associated with it. Long story short, before I ramble on too much, I think Honda has hit this one out of the park! Everything from the styling side of things to the mechanical changes and I’m looking forward to throwing my leg over one and taking it for a spin to see exactly how much those upgrades actually change how the PCX150 feels on the road. Cough cough… If you’re listening Honda, I’m open for a demo ride if you want to get me one before their official release date in July haha. Now, I’ve shared my thoughts on the 2019 PCX150 so I’m interested to hear what you guys think. 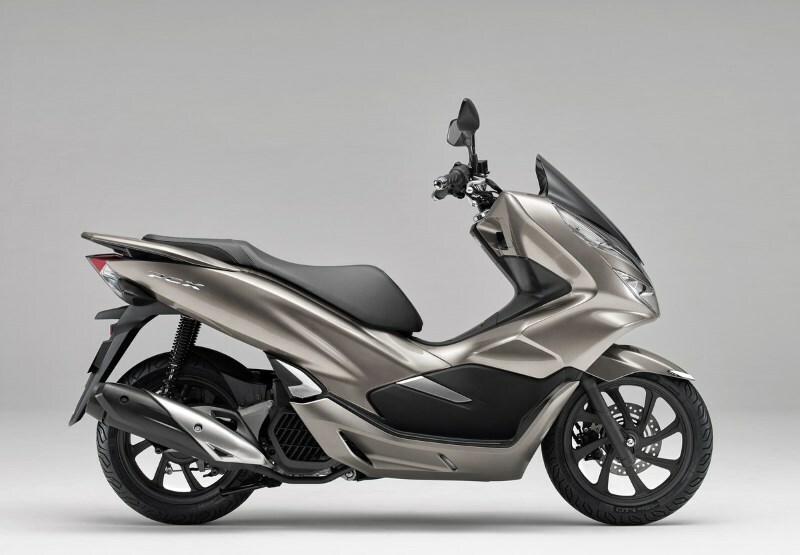 My past PCX150 posts have been some of my most read articles so there’s a lot of PCX fans out there in the world and I would love to hear what you guys think of not only the aesthetic tweaks to the 2019 PCX150 but also the mechanical changes. Do you think Honda hit it out of the park? What did they miss that you would have liked to see changed? * Includes all standard equipment, required fluids and full tank of fuel—ready to ride. Meets current EPA standards. Models sold in California meet current CARB standards and may differ slightly due to emissions equipment. 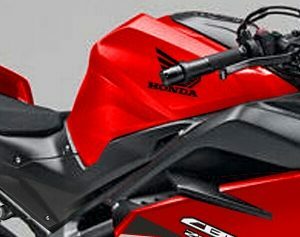 Signup for Honda PowerSports News / Model Updates!